Yabba Dabba Doo!! Andrew Clark a.k.a. AndrewClark2, is a 10K Club member you've very likely heard of as he's also the fan designer responsible for the 21304 Doctor Who set from a few years ago! 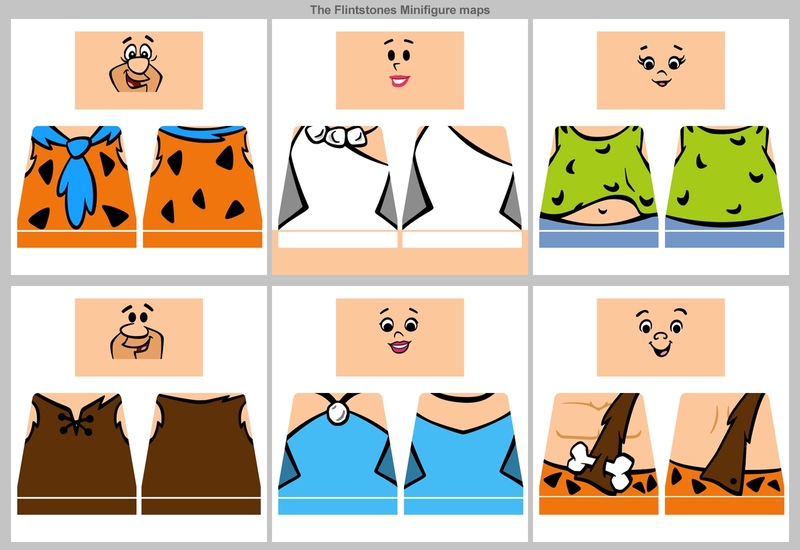 Andrew has continued submitting to LEGO Ideas and went on to design and submit everyone's favourite stone age family - the well-known The Flintstones - to LEGO Ideas back in February 2017. 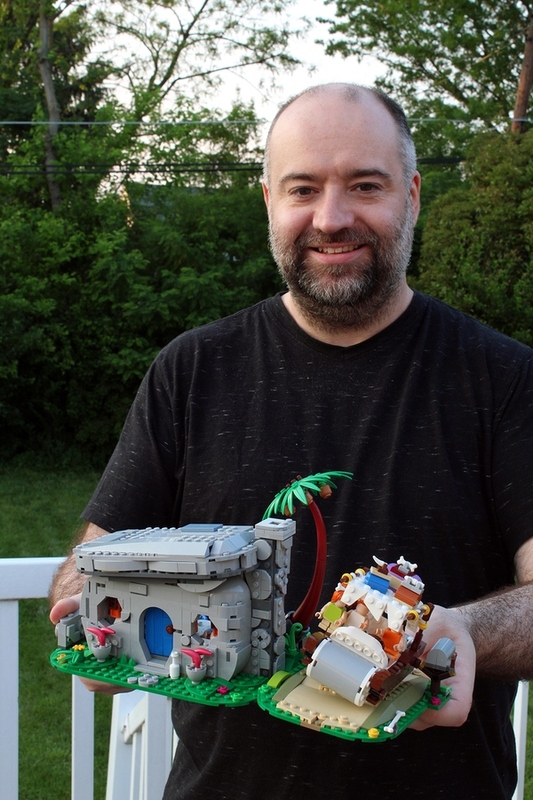 Help us congratulate Andrew, in the comments below, on joining the exclusive LEGO Ideas 10K Club and for sharing his story with us! I am originally from Manchester England, but have been living in the US since 2004. I create artwork for video games. I get to build 3D models and texture them. The most recent game I worked on that has been released is Sid Meier's Civilization VI where I got to model and texture some of the Wonders, such as the Eiffel Tower, Sydney Opera House, Big Ben, Le Mont Saint-Michel, and several more. Over my 16 years as a Games Artist I have worked on many different types of games and assets from Sci Fi spaceships, to iconic buildings. ^ Andrew Clark holding up his prototype for the Flintstones which he submitted to LEGO Ideas. I enjoy creating artwork as personal projects, typically 3D models I built that are rendered such as this RC car model https://www.flickr.com/photos/127122511@N05/albums/72157670443037574. I also enjoy photography and creating textures both photo real and stylized. Building official LEGO sets and creating my own designs is a big passion, as is creating LEGO ideas projects as that combines all my interests! My older brother had set 8860 Technic Car it was around 1985. I remember being amazed by all the details and working functions. From there on I also got LEGO sets and our collection grew to where we had enough to build almost anything. I liked to build cars, robots and spaceships. As with most people other things took over but around 2013 I started getting back into it and found LEGO CUUSOO, now known as LEGO Ideas. • Various other sets from LEGO City, and LEGO Speed Champions. • Adrian Florea - On his Flickr he has some very creative parts usage. • Mike Psiaki - Again cool models on Flickr, and he was the official co-LEGO Designer on the NASA Saturn V. He seems like a good technical builder. • Sam Johnson - He did a great job taking my Doctor Who project and turning it into an official set. I want to get more familiar with other official designer’s sets that inspire me. • Tyler Clites aka Legohaulic - Lots of cool fun models on his Flickr, and his Stitch model looks great. • Alex Jones aka Orion Pax He has an amazing amount of models on his Flickr, and they all look cool. • Jason Allemann aka JK Brickworks. He has lots of great models and he makes LEGO come alive through motion. • New Elementary: It has in-depth blogs on new elements and creative ways they can be used. • Brickset: Lots of LEGO news updated daily. • Brothers Brick: Lots of cool and impressive builds. I have fond memories of watching The Flintstones growing up, and even now as an adult I enjoy it. I wanted to bring those memories to life in a LEGO build that would be fun for kids, nostalgic for adults and would translate well into a LEGO set. The Flintstones is timeless, blocky, fun, and colorful just like LEGO! I love how The Flintstones has most of the tech we do such as a music player but done in a primitive way, such as a birds beak plays the music disc, and the grass gets eaten, rather than cut. I felt this would be a fun project to work on, and the artist in me felt I could create some fun and interesting visuals. Creating the minifigure maps was also a lot of fun! The challenges were capturing the essence, details, and fun of the show, and designing Dino. Getting the right look for Dino took a few iterations to get something I felt was good enough to add as an update. I ended up using Benny's helmet for the nose, with a Minifigure head inside with the mouth as graphics on it. A visor was used for the front of the head with eyes on it. Some Nexo Knights elements were used for the knees and arms, and a Wizards hat for the tail. In total around 88 hours spread over three months. At 9996 supporters I had to go to a meeting but in my mind I was yelling Yabba Dabba doo! I was excited to find when I got back to my computer I had met the 10K goal. It took around 14 months to reach 10K votes and during that time the support ebbed and flowed depending on how much time I had available to promote it. Around 770 for the whole design including minifigures. I tried to trim it down and be optimal. I plan a lot when doing any projects, but all of it is driven by a passion to get the best results I can. My thoughts on this constantly evolve. Let me know in the comments what additional things you think help a project. • Gathering reference and brainstorming on what features would add interest and fun to the design. • Building rough models in real LEGO bricks or software like LDD to get the basic shapes, proportions and features. Be realistic in size and scope, so you don't over promise in terms of what would likely be possible. • Determining the key aspects of the set that drive demand and interest. Give those models the most attention in your project. • Refine the build and at some point build in real LEGO bricks to ensure it works and is fun to build. Also don't be too gentle with your model as this will inform you where it needs to be more robust. • Maintain a good frequency and placement of detail, too high and it will look noisy, too low and it will look basic and lack detail. Too concentrated in one area and the model won't look balanced or cohesive. • Avoid large areas of repetitive color by introducing other colors, but not in a garish way unless the subject matter calls for it. • Finally go over your model to see if any improvements can be made then create interesting compositions that showcase the different views and features of the design. • Create your new Ideas project. Upload images, and a video to showcase any play features and links to any other content. Write a brief description and break up the text to make it more interesting. Check your project thoroughly as once you submit you cannot edit only update. • Do updates to showcase any design improvements, supporter milestones met, and links to where your design has been shown. • Read the feedback in the comments, if several people say the same thing maybe they have a point. And engage/ respond to comments, it keeps interest up and It's the nice thing to do! Good design and visuals will only get you so far, you need to make people aware your design exists. Ask yourself what drives interest in your project and who would be interested your design, and then target your promotion efforts there. 1. Share project images and links on various image hosting sites such as groups on Flicker, and various social media groups relevant to your model. 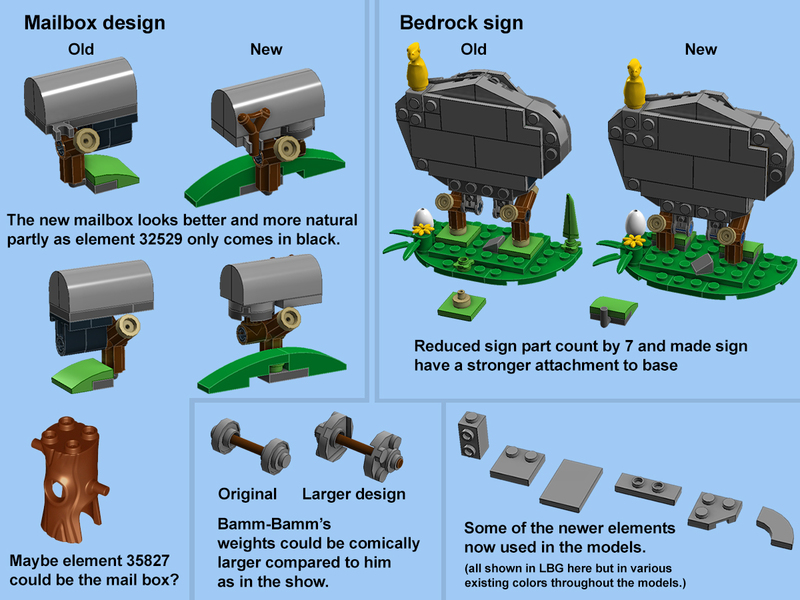 Try to make it clear in your promotion efforts text and visuals that this is a proposal for a LEGO set. and that they have the power to help make it happen by voting. 2. Go to conventions have fun, be inspired, and in addition your design may be noticed by LEGO fan YouTube channels, some of which have huge followings. A social media post or a youtube interview by them where you show and discuss your model could give your project a big boost! such as this Beyond the Brick interview I did for The Flintstones. 3. While my model compared to those at conventions may be small I had large printed out images of my model to make it more noticeable and draw people in for a closer look. At the base of my model I had another print out to make it clear this design is a proposal for a LEGO set that can be voted on, and where to vote. 4. Be prepared to promote, and know it can take as much work promoting as designing to reach 10K. 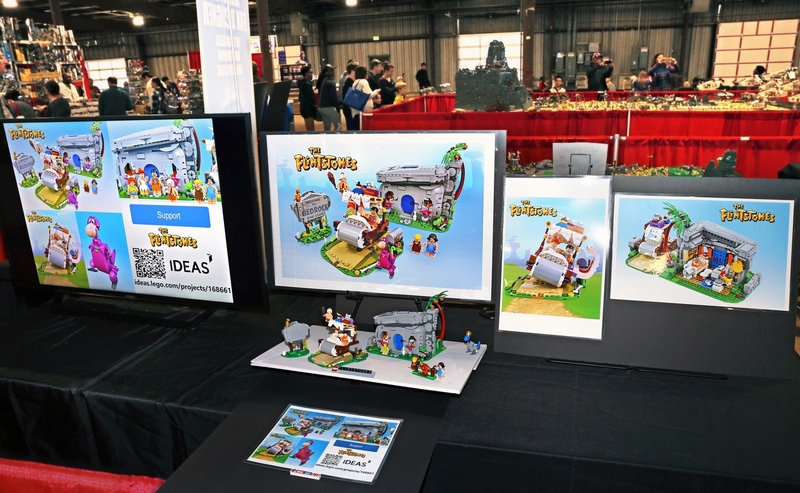 ^ Andrew's promotional setup at Brickfest with eye-catching visuals! NASA Saturn V (epic build) followed by the Birds (pure LEGO build) and Ghostbusters (cool nostalgic build)! What is it about the platform that attracts you? What tips would you give to anyone who is thinking about uploading an idea? With LEGO Ideas I get to create and share my vision for a LEGO set. I enjoy all the steps in project creation such as designing, iteration, the creation of Minifigure and other elements graphics, Photography, rendering, and presentation. I like to do it all, not even official LEGO set designers get to do that, (but if they do sign me up). I aspire to match the quality of design and presentation found in official sets. I also enjoy the competitions, and seeing the great designs people create. 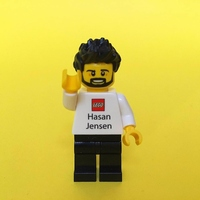 • Would your idea have broad enough appeal to warrant a LEGO set? or is it somewhat niche, and therefore may not be popular enough, or not generally known outside the country you live in. • Is it appropriate? Refer to Ideas Guidelines for what they accept content wise. • Would it translate well into a set? This covers many things such as build experience, a highly repetitive build would get mundane. Some designs may not be able to retain the look needed and still be stable, it may not reduce down well, or the design may have no focal point, etc. I have enjoyed my journey to 10K and the many positive comments and thoughts from LEGO Ideas members. I hope you all have a Yabba Dabba Doo day, and thanks for reading!